With a week late, I propose you my monthly cultural break which features today the famous anime series Cowboy Bebop. Two months ago, I was reviewing Cowboy Bebop the Movie and I wrote a laudatory article on it. At the end, I was mentioning my buying of the series limited edition box set. I had time to watch the 26 episodes and I haven’t been disappointed. The series, like the movie, contains great characters, impressive universe and a great original soundtrack. Simply jaw-breaking. Spike, Jet, Faye, Ed and Ein are discovered progressively. Their deap personalities and personal stories are revealed throughout the series. At the very beginning, only Spike and Jet are present, then come Ein, Faye and finally Ed, the hilarious teenage hacker. Albeit the fact that Cowboy Bebop was released in 1998, it hasn’t aged at all. The animation techniques, the pictures, graphics and so on are still amazingly beautiful. The design, whether for the different spaceships or characters, is the best I have ever seen. This truly reinforces the quality of this anime. All episodes can be watched in either Japanese or French and subtitles are also available. The DVD box set itself is wonderful and packed with bonuses. The 26 episodes are scattered in seven DVD, to which one can add two disks with making of, comments from the creators. On top of all are included that five booklets with original drawings, explanations about the coherent universe that was created for the series… GREAT ! The only reproach I could formulate to Cowboy Bebop is the fact there is only one season. Such a great series would have deserved two or three. But still, a whole season (with 12 hours of episodes and 2 hours of bonuses), plus a two-hour film, plus some mangas ( which I haven’t read ), makes it already quite an impressive universe. The success on the Japanese television was not as it should have been and many episodes were censored because of the depicted violence. This explains why there haven’t been other seasons. But the series is still a major hit. I never have been a fan of japanimation. But with Cowboy Bebop, this is changing and I am now looking for something that could approach this. I am quite sure indeed that nothing can beat such a good stuff. 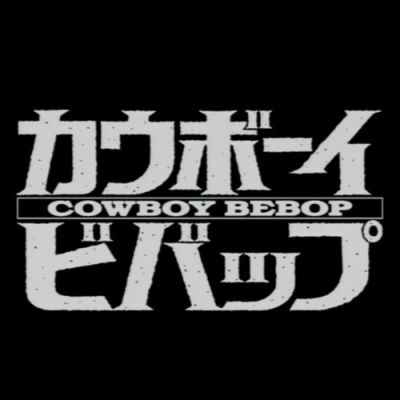 Conclusion : Cowboy Bebop is said to be one of the best animes, if not the best of all time. This is undoubtedly true and it is certain you will appreciate it. 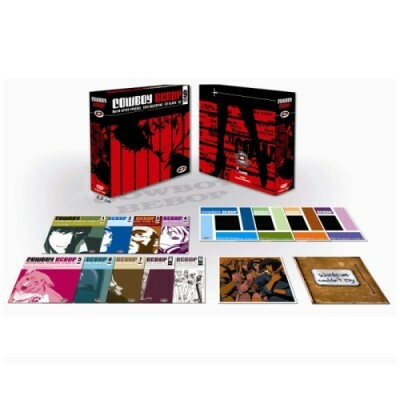 The box set with its many bonuses is a must and still can be found for less than 100 €. As a bonus to this cultural break, I would like to propose you a video I watched in the course of the previous weeks. ← Would peak oil solve the climate change problem ?